Came across this quote courtesy of reddit u/mungboot in r/quotesporn. I thought it was particularly powerful. 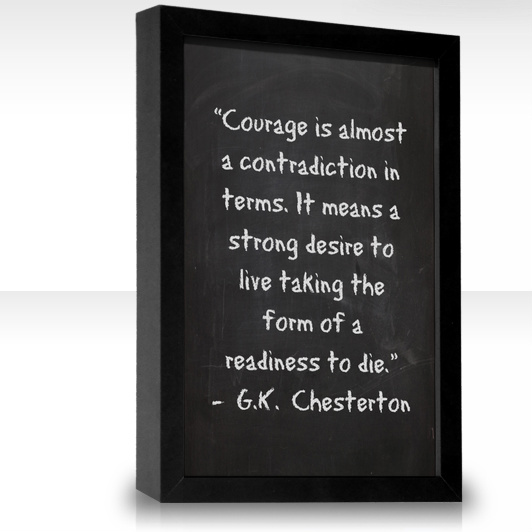 Also, worth noting that courage isn’t about the absence of fear, but rather that despite the awareness of fear’s presence, one presses on. the things that keep us going seem to have odd contradiction don’t they? Thank you for your feedback. I agree; life seems to be full of contradictions, but that’s what makes it interesting.